I don't know why I don't make biscuits more often. They're pretty easy. And fast. You mix, roll, fold, cut, bake, and you eat. That's it. If you're thinking, "Biscuits, ho-hum. Been there, done that," you might want to think again. I bake a LOT of bread. Every week, there are at least one or two new recipes rolling through here. It's gotten to the point where a loaf has to be pretty spectacular to get any lot of notice. Otherwise it's just "nice bread" and we move along to something else. On the other hand, these biscuits have been the subject of a lot of conversation, and there's been a request to make more. That doesn't happen all that often. These biscuits aren't dessert-sweet, but you can taste the sweetness and richness of the honey. They're not so sweet that you couldn't eat then with dinner or breakfast. Or slathered with peanut butter. But if you wanted to, they would make a great base for strawberry shortcake. In a small bowl, combine the milk and honey. Stir until it is completely combined. Flour your work surface and turn the dough out. Pat it into a rough rectangle, then roll it until it's about 1/2 inch thick. Fold it in thirds, like a letter, and roll it again. Fold in thirds again. This time, roll it again to about an inch thick. With a 3-inch biscuit cutter, cut as many biscuits as you can. Re-roll the scraps and cut more biscuits. You can re-roll a third time, but I usually use the final scraps for a free-form biscuit. Place the biscuits on the prepared baking sheet, If you like soft sides, place the biscuits so they touch. If you want the sides more crisp, keep them separated. If you like, brush the top of the biscuits with milk, butter, or cream. Bake at 400 degrees until the tops are nicely browned, 12-14 minutes. A lot of people think that bread baking is difficult or complicated, but it doesn't have to be. After all, our fore-bakers managed to make bread without standard measuring cups, and in ovens without precise controls. Sure, bread recipes can be complicated. 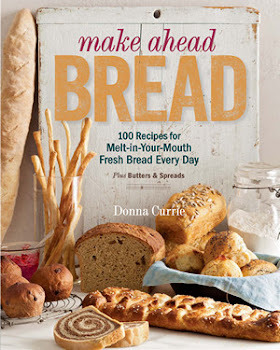 I have a bread-baking book that has a recipe that is 40 pages long. This recipe isn't anywhere near that complicated, and the ingredients are simple. The most unusual ingredient is bread flour, but if you don't want to buy that, you could use all purpose flour. It might take a little bit longer to knead if you use the all purpose, but it will still make a fine loaf of bread. This bread also doesn't require any fancy techniques. You need to knead the bread, but you can do that in a stand mixer, or, if you don't have a stand mixer, you can knead it by hand. To make the kneading easier, the bread takes a short rest before the kneading begins, which helps activate the gluten. Combine all the ingredients in the bowl of your stand mixer. Stir to combine, then cover the bowl with plastic wrap and set aside for 20 minutes. Uncover the bowl and knead the dough with the stand mixer fitted with the dough hook until the dough is smooth and elastic. Remove the dough from the bowl, drizzle it with a little bit of olive oil, just to coat the surface, and return it to the bowl. Cover the bowl with plastic wrap again and set aside for 30 minutes. Preheat the oven to 350 degrees and have a 9x5 loaf pan on hand. Flour your work surface and turn out the dough. Press it gently to deflate it, then form it into a log about 9 inches long to fit into the loaf pan. Place the dough, seam-side down, in the loaf pan. Cover it with plastic wrap and set aside until the dough has risen just above the top of the loaf pan - about 40 minutes. Bake the loaf at 350 degrees until it is nicely browned, about 30 minutes. Remove the bread from the loaf pan and place it on a wire rack to cool completely before slicing. Obviously, I like to cook, right? And you might know that I work from home. Which means that lunch can be whatever I want it to be. Anything at all. But my dirty little secret is that I don't always want to eat what I made. It's not that I dislike my own cooking, but if I made something for dinner the night before and I know we're having leftovers for dinner later, I might not want that same thing for lunch. No matter how good it is, something different is often much more appealing. Sometimes that means I'll be eating a peanut butter sandwich for lunch. Or something else simple. Because, really, as much as I like to cook, I don't want to make a fuss for lunch. On the other hand, there are times when I want something that's a little more ... substantial. More like a meal. As much as that's true for lunch, it's also true for the times when I happen to be eating dinner alone.So when I got an offer from Bertolli to sample on of their new Meal Soups, I figured it was worth a try. I like soup. I make a lot of soup. But remember that part about me wanting something that I didn't cook? Yep, that's where this soup comes in. It's fast, it's easy, and it's a heck of a lot better than canned soup. I bought the Tomato Florentine and Tortellini with Chicken. Kind of a long name, but it gets all the main points covered. In case you don't know it, "florentine" is code for "has spinach in it." When I opened the package, I was pleased to see that all of the components were frozen separately - the chunks of chicken,pieces of spinach, and tortellini were frozen individually rather than in a big brick, and there were chucks of the frozen liquid, as well. IQF (individually quick frozen) foods fare much better than those that are frozen in blocks, whether we're talking about a bag of broccoli, a box of hot wings ... or soup. All I needed to add was a cup of water, then bring it to a boil, cover it and simmer it for a while. Not complicated at all. The bag also had microwave cooking instructions, but I went with the stovetop method. Bertolli asked us to creating a dining experience using this soup in under an hour for all the prep. Including opening the package and picking out a bowl and plate that would look nice with the soup, this was ready to eat in under 15 minutes. All it took to make a meal out of this was a few breadsticks that I had on hand. Okay, the breadsticks were made already, but there's nothing wrong with that, right? A perfectly filling meal, nicely presented. For those with larger appetites, salad would have been a nice addition to the meal, or perhaps some buns instead of breadsticks. But for me, that bowl of soup was all I needed. Well, and the breadsticks. This isn't going to stop me from making my own soups, but I have to say that I wouldn't mind having a few bags of this on hand in the freezer for a quick meal. Since it was frozen instead of canned, it tasted a lot fresher, which is a plus. These soups come in four varieties: Chicken Minestrone, Roasted Chicken & Rotini Pasta, Tomato Florentine & Tortellini with Chicken, and Tuscan-Style Beef with Vegetables. Wanna know more? Bertolli is on Facebook and Twitter. Or check the website. Disclaimer: I was compensated by Bertolli to participate in this Weeknight Meal Special Challenge. But of course my opinions are my own. Chili was the first full meal I ever cooked. I remember it vividly. It was for a Girl Scout badge and I chose chili because it seemed complicated. When I was growing up, I spent a lot of time in the kitchen, and I'd helped my mother mix meat loaf plenty of times. I'd watched her cook pork chops and chicken and steak. I peeled vegetables and chopped them and made salad - including the dressing. Those things seemed so simple. And the meats looked just about the same after they were cooked as they did when they went into the pan - except a little more brown. They weren't transformed, they were just cooked. But chili was a mystery. Some sort of magic happened when everything was combined in a big pot. Ground beef and some canned goods turned into something that didn't look the same any more. I figured there had to be some kind of magic involved. When I finished making it, I was sort of disappointed. Ground meat, canned beans, canned tomatoes ... along with some onion and green pepper ... and that was just about it. It was no big mystery. And then elbow macaroni went into the mix, because that's how mom made her chili. Then, to my great embarrassment, my mother burst into tears when I served the chili for dinner. I mean, it was chili, not an academy award. There might have been salad, too, but that wasn't tear-worthy, either. But then she explained that she was all weepy because chili was the first dinner she ever cooked for my father. And here I was, nine years old, making chili. At that point, I really wished I would have made spaghetti sauce instead. But that was the chili I grew up with, and I was happy to know how to make it, even if it wasn't as mysterious as I hoped. It took me many, many years before I could accept the idea of chili without noodles. And many more years before I had chili made with anything except ground beef. Green chili was completely foreign. But although my horizons have expanded, I still like chili that's similar to the one my mother made. Sometimes I even add noodles when I'm feeling particularly nostalgic. These days, I tend to change the recipe to fit my mood. Sometimes it's spicier, sometimes milder. I use different beans - this time I used cranberry beans - pretty speckled things that are larger than the more typical pinto beans that I use. And sometimes I serve optional toppings at the table. Heat the oil in a large, heavy bottomed pot. A Dutch oven is perfect. Add the onion, peppers, chili powder, and cumin and a pinch of salt. Cook, stirring as needed, until the vegetables soften. Add the ground beef and cook, stirring as needed, until there's no more pink left in the meat. Add the tomatoes, cooked cranberry beans, and masa harina. Stir to combine and cook, stirring as needed to keep the chili from sticking to the bottom, until the flavors have melded and the sauce has thickened. Taste, and adjust the seasoning, adding more salt, if needed, and more chili powder or cumin, if you prefer. You can serve as soon as the masa harina has thickened the sauce, but it's better after it has simmered longer. An hour is great. This is also great reheated the next day. For garnishes, I added sour cream, avocado, and shredded cheddar cheese. For more info about Whole Foods Friday and my partnership with Whole Foods, see the tab at the top. Some people might say that spaghetti isn't good "date" food because it's too messy. Too great a chance of spilling, dribbling, slurping, or otherwise being a slob. On the other hand, what's more romantic than the spaghetti-eating scene from Lady and the Tramp? I'm not saying you and your loved one should recreate the scene - just that any food can be romantic if you both enjoy it and you both have a good sense of humor about spills and mishaps. In fact, sometimes it's the things that go wrong on a date that make the best stories ten years later. I can imagine my husband cringing right now, wondering if I'm about to recount the list of faux pas that littered our first few dates. Suffice it to say that even though we were at the wrong restaurant, the food was good, and even though the newspaper review the next day said the movie was not a good "first-date movie" we laughed ourselves silly and didn't care what the movie reviewer thought. And we've been laughing ever since. So, spaghetti it is. Red is the color of Valentine's day, so this recipe is based on tomatoes. As a nod to the squeamish, there's no garlic. And as a nod to the punsters, it includes hearts. Artichoke hearts, that is. I found some really fun marinated artichoke hearts that are on longer stems than usual, so they look sort of like roses on stems. Heat the olive oil in a large saute pan. Add the carrots, red pepper, onion, and mushrooms. Add a pinch of salt. Cook, stirring as needed, until the vegetables soften. Add the tomato sauce, tomato paste, dried basil, dried oregano, and red pepper flakes. Cook at a simmer, stirring as needed to keep the sauce from sticking, for at least 15 minutes. Taste for seasoning and add extra salt, if needed. Add the fresh basil and the cooked, drained spaghetti and stir to combine. If you need to loosen up the sauce a bit, add some of the pasta cooking water. Serve hot, and garnish with the artichoke hearts, as desired. Have the grated cheese available to add at the table. And how about a drink with dinner? 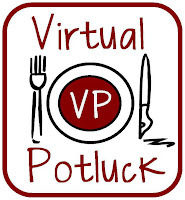 Virtual Potluck has teamed up with Taste to serve up some beverages to go along with our special Valentines meals - and we'll be doing this for three weeks - plenty of Valentine's menu choices for you. If you're not familiar with it, Taste is a mixology show that features cool cocktails from the creative minds at N8tion.com, an independent television and radio network founded by brothers Myron and Otis McDaniel.. 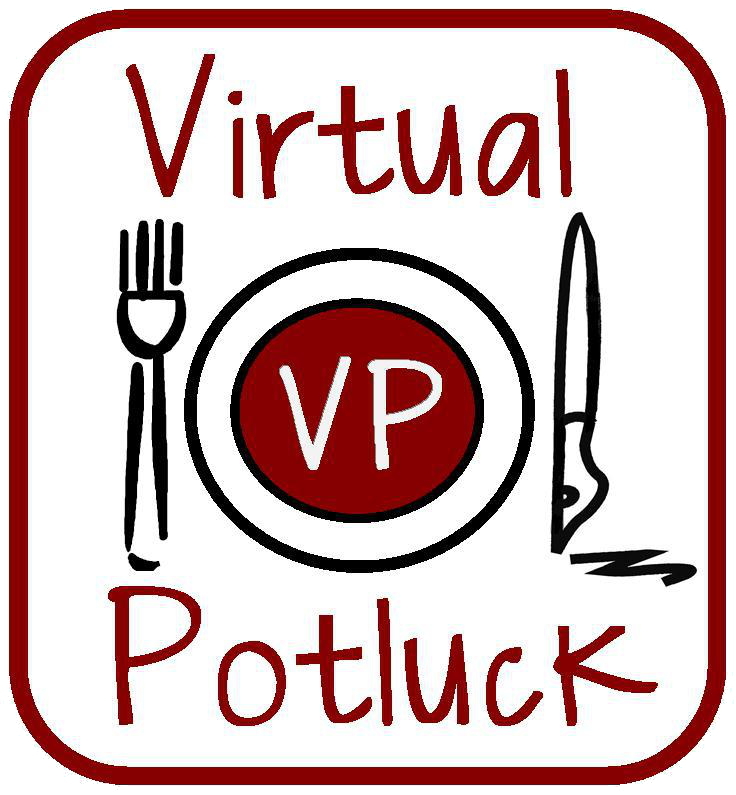 In case you didn't catch the credits in the movie, the other Virtual Potluck members contributed their courses to this special Valentine's meal (with drinks provided by Taste) invite you to see what they've made. And for a wrap-up write-up of the event, go see Groov-y Foody. This is week three of the four-week Healthy New Year promotion that Virtual Potluck is doing in conjunction with California Olive Ranch and Bob's Red Mill. This week, I worked with quinoa from Bob's Red Mill and Arbosana extra virgin olive oil from California Olive Ranch. Even the most die-hard organic locavore slow-food foodies probably have some sort of junk food dirty secret...some beloved prepared food that is the exception to the fresh-cooking rule. I have a few of them, I'll admit it. When it comes to the dinner table, I have a strange love for Rice-a-Roni. It's been a looooong time since I've bought any, but I've managed to tame that beast by making my own versions. But this time, I've upped the ante by replacing the pasta with quinoa. The benefit of using quinoa is that unlike (most) pasta, this little round grain is packed with protein. Okay, technically, maybe it isn't a grain. But it is a seed, so it's close enough. By using protein-rich quinoa instead of standard pasta, this dish changes from a starchy side dish to something that's closer to being dinner. Presentation-wise, it still looks like a side dish, but you can dress it up by stuffing it into a pepper or some other vegetable. Me, I'm fine with a bowl and a fork. Heat the olive oil and butter in a large saute pan with a lid. Add the onion, quinoa, and rice. Just for the fun of it, here's a really close view. Cook, stirring as needed, until the onion has softened, the quinoa is lightly toasted, and the rice turns whiter. Add the chicken stock and poultry seasoning. Bring to a boil. Taste for seasoning - depending on how salty the stock is, you might not need additional salt. Reduce to a simmer, and cook until just about all the all the liquid is absorbed - about 15 minutes. Turn the heat off and let it sit for another 15 minutes with the cover on. If you like you can drizzle the rice with some additional olive oil before serving. To enter the giveaway: CLOSED. This week's lucky winner is Pat R. A new giveaway starts Jan 25. Contest begins when this posts and ends at midnight, mountain time, on Sunday, January 22. Open to US residents only.